Central School of Ballet’s renowned graduate performing company Ballet Central will commence its annual nationwide tour at the Royal Academy of Dramatic Art in London on Friday 2 March. 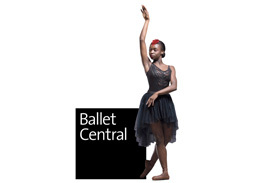 Under the artistic direction of Christopher Marney, Ballet Central’s diverse range of dance and theatre will perform in 20 towns and cities in England and Wales across a five month period. This season’s breadth of repertoire is testament to the distinguished choreographers that support the young dance company. Matthew Bourne of New Adventures honours Ballet Central with the Fairies Prologue from his gothic reworking of Sleeping Beauty and, for the first time, Ballet Central will present an excerpt from FAR by multi award-winning choreographer and director Wayne McGregor. After the success of last year’s Romeo & Juliet, choreographer Jenna Lee returns to Ballet Central with her new creation Black Swan, a dark twist on the iconic classic. To celebrate the life and work of Kenneth MacMillan, Ballet Central introduces an excerpt from his rarely-seen 1983 ballet Valley of Shadows, inspired by Georgio Bassani’s haunting novel The Garden of the Finzi-Continis. To close this year’s performance, Christopher Marney will revive scenes from Christopher Gable’s Cinderella on the 25th anniversary of its creation. Ballet Central is visiting many cities and towns in the UK for the first time, taking storytelling, technique and drama to new audiences so they too can see this exciting repertoire performed by exceptional dance talent on the cusp of their professional careers. Students in the final year at Central School of Ballet join Ballet Central to gain invaluable touring experience before graduation. Ballet Central’s dancers not only perform but also help with technical aspects including lighting, sound, staging and wardrobe. The annual Ballet Central tour offers audiences across the country the chance to see the company’s young and dynamic dancers showcase the best dance theatre from current industry professionals alongside newly-commissioned work and refreshed classics from the world’s top choreographers. The tour will also be visiting Guildford, Tonbridge, Birmingham, Bury St Edmunds, Swansea, Brecon, Grantham, Leeds, Chelmsford, Uppingham, Bath, Newbury, Bridport, Exeter, Chipping Norton, Shrewsbury, Great Yarmouth, Winchester, and Crawley, finishing in Stratford, London.